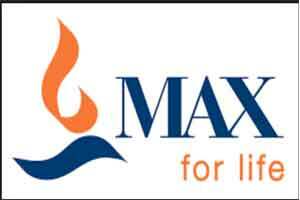 New Delhi: Max India, the holding company having businesses along various spectrums including healthcare, insurance as well as financial services, has announced a vertical split of the company into three major parts. These include Max Financial Services (MFSL),Max India and Max Venture Industries (MVIL). As a part of restructuring Max Financial Services (MFSL), will hold a 72.1% stake in the life insurance joint venture company Max Life Insurance and will be now headed by Former HSBC head, Naina Kidwai, who will join as a Chairman. Moreover, Max India will be the holding company for Max Healthcare, Max Bupa Health Insurance (MBHIL) and Antara Senior Living. Analjit Singh will remain the Chairman of the third company MVIL, and act as a chairman emeritus and a permanent invitee to the boards and committees of all Max Group companies. Max India, which the holding company of Max Healthcare, will now have a stake of 46.4% in the company, and will be headed by Rahul Khosla as the Chairman.